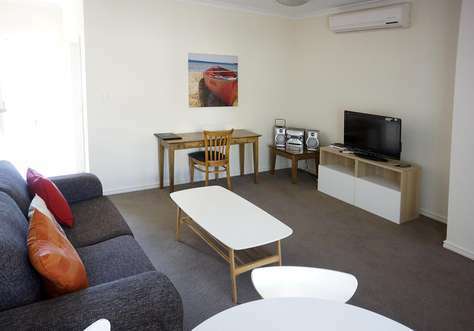 South Beach 48 is located in South Fremantle in a small group of 12 short term accommodation apartments. They feature 10 x 1 bedroom and 2 x 2 bedroom. The building and car park are secure. Each apartment has its own parking bay. 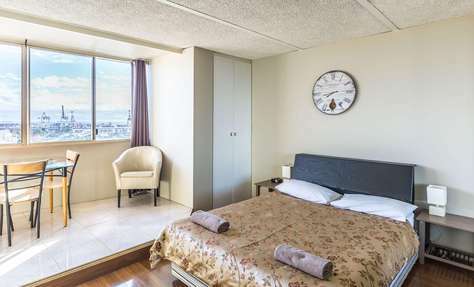 1 bedroom with a queen bed and a single bed. 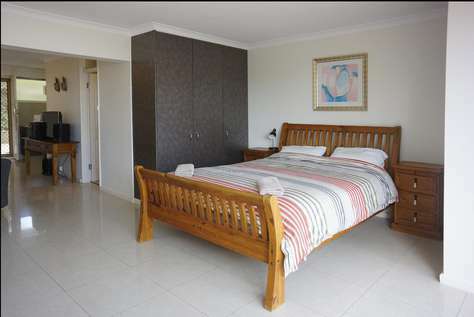 Bedroom is furnished with a wardrobe and chest of drawers. 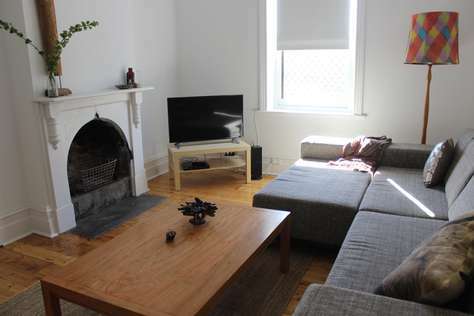 Well equipped spacious kitchen with a full oven and cook top. 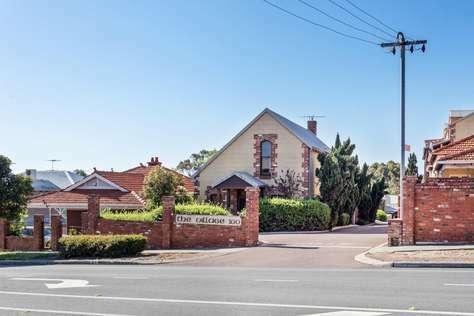 The train station, bus station, ferry to Rottnest, Perth or the Swan Valley is about 1.5kms away. 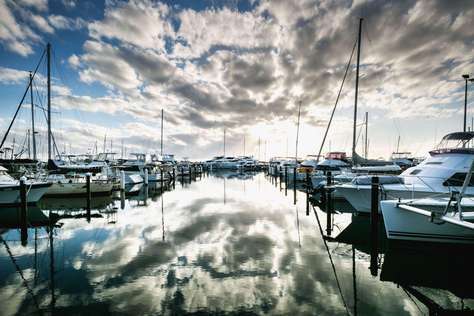 Fremantle is a port city in Western Australia that's part of the Perth metropolitan area. It's known for its maritime history, Victorian architecture and remnants from Australia's days as a British penal colony. Fremantle Prison, which housed convicts from the 1850s to 1991, now features re-created cellblocks. The 12-sided Round House, a landmark 1831 building, also briefly functioned as a jail. 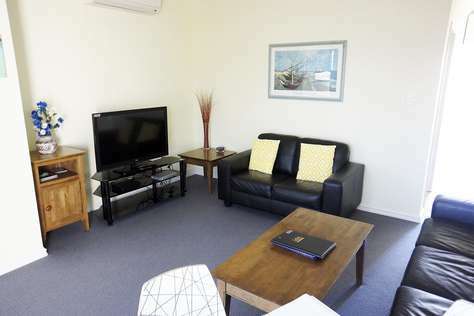 South Beach 49 is located in South Fremantle in a small group of 12 short term accommodation apartments. 1 bedroom with a queen bed. En suite bathroom with shower and vanity. 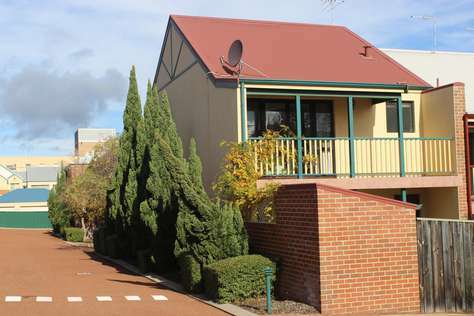 Studio apartment with a small separate bedroom in a complex overlooking Fremantle. Full kitchen with oven, cook top, microwave and large fridge freezer. 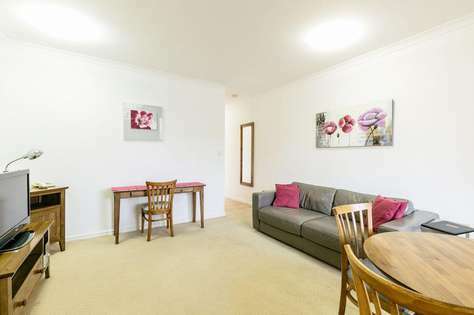 This apartment has been recently renovated to a very high standard. Generous size fridge/freezer, full oven with separate cook top, microwave, lots of cutlery and crockery. The bathroom with shower, toilet and hand basin. 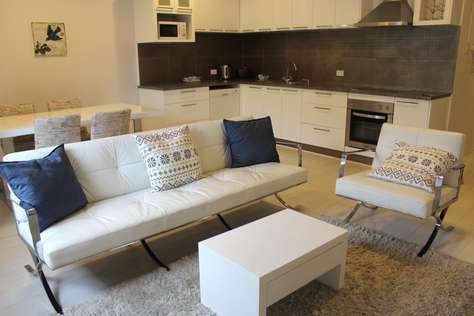 Each apartment is spacious being approximately 50M2. When you walk into the apartment you will find a full kitchen to your right. The kitchen has a full oven and cook top, a generous fridge/freezer, and a microwave.It is completed with every amenity you would need. 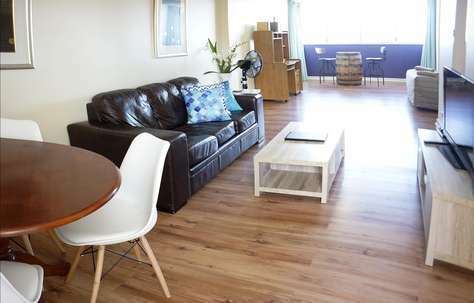 The living and dining takes up the full length of the apartment. There is a comfortable lounge with TV and DVD. The bedroom space with queen bed and wardrobe is adjacent to the bathroom with shower and vanity. 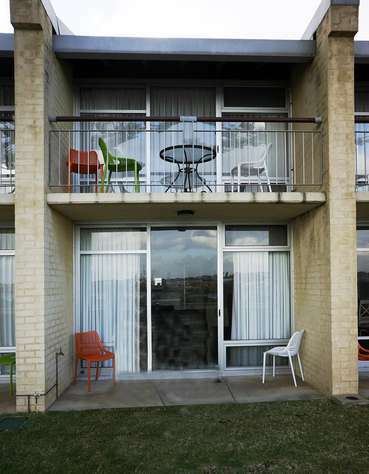 Studio apartment in a well kept complex overlooking Fremantle. The magnificent ever changing ocean view will captivate you by day and night. The bedroom with queen bed is located in the upstairs area. 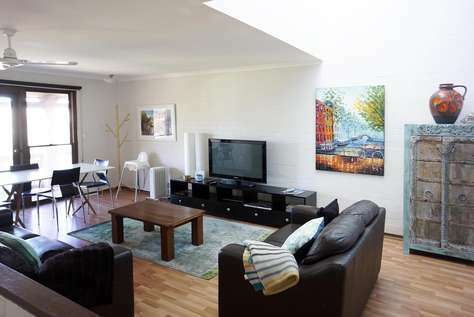 The property has air conditioning and a complimentary wireless internet connection. It is located in a quiet private location at the rear of an existing residence. Fremantle centre is a short stroll, public transport including trains and ferries are a walk from this location. It is suitable for a couple or a single person. 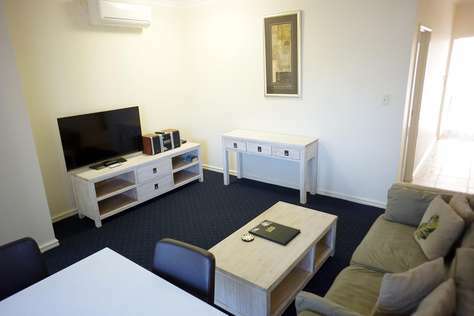 It is ideal for corporate guests attending conventions or meetings at the nearby Esplanade Hotel. 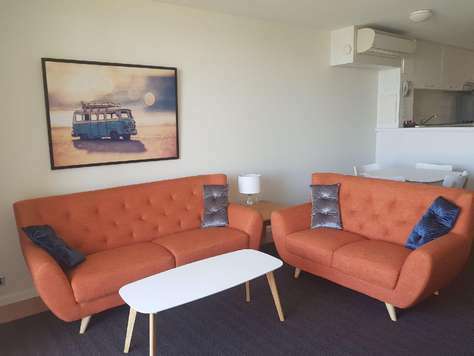 However its location to transport and Fremantle centre makes it ideal for anybody looking for a nice quiet place to enjoy their time in Fremantle. 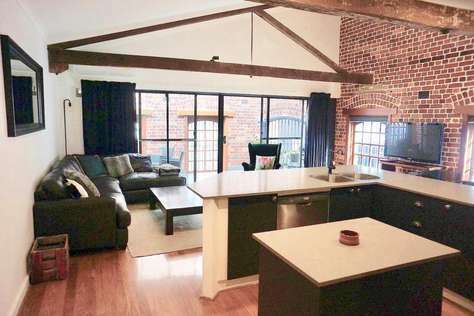 Downstairs has the living area with generous kitchen, this opens onto a small courtyard with an outdoor setting. There is a separate toilet downstairs plus a bathroom with shower vanity and toilet upstairs. Furnished with a comfortable queen size bed and wardrobe completes the picture. Please ask about our rates for longer terms. 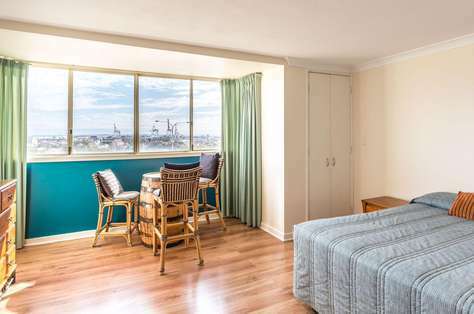 This studio apartment is located across the road from the Fremantle Sailing Club on the corner of Ada Street and Marine Terrace. 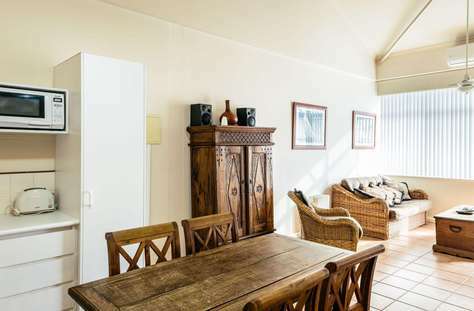 It is fully self contained and recently fully renovated with every amenity. 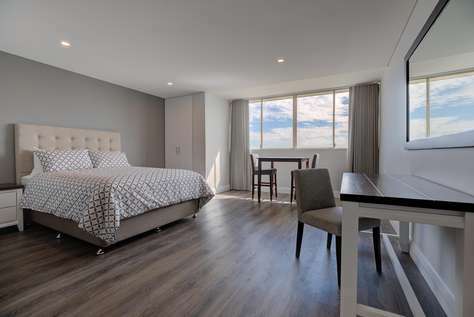 It includes in the tariff an internet wi fi connection,free parking on Ada Street, all linen and towels and boasts a wonderful ocean view from the comfortable balcony. 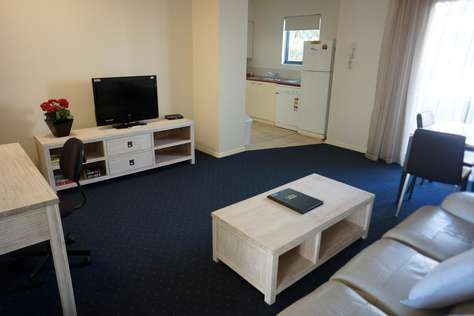 It is furnished with a queen bed, bathroom with washing machine, well equipped gourmet kitchen, TV, DVD etc. The free CAT bus passes close by and circumnavigates Fremantle passing and dropping off at locations to shop, eat, enjoy the scenery or the many historic sites which Fremantle is famous for. 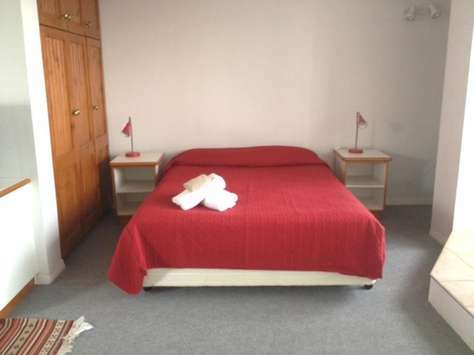 Laundry facilities in the apartment with washing amchine and dryer and laundry trough. 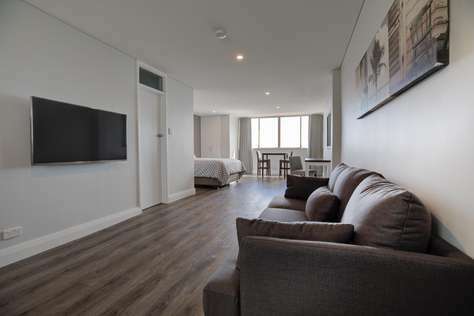 This new apartment is located in South Terrace on the corner of Wray Avenue Fremantle. Entry to the apartment is via Wray Avenue between Brockway Key Real Estate and a gift shop called Envee. The location is quiet with entry door and private stairs to access the apartment. 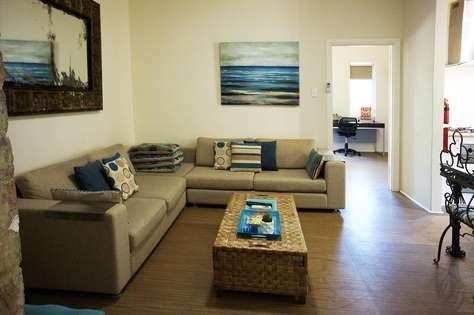 Fremantle centre is a short walk, Fremantle sailing club is a 5 minute walk. The cafe strip is a short stroll to the North and the beach and cafes and restaurants of South Fremantle is a short stroll to the South. There are 2 bedrooms and one huge bathroom. The 2 bedrooms and bathroom are upstairs. 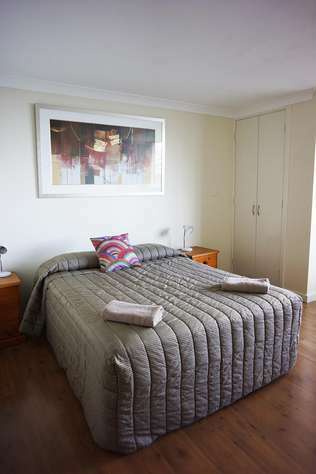 Bedroom 1 is furnished with a comfortable queen bed with sliding doors onto a balcony. 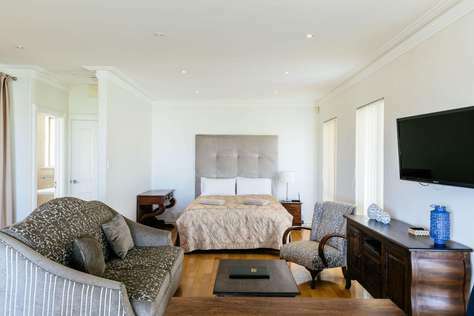 The second bedroom has 2 king size singles beds and a balcony. The sumptuous bathroom has double vanity basins, bath and separate shower. The washing machine, trough and dryer are housed in the bathroom area. 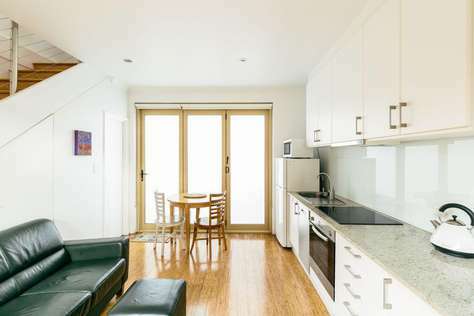 Downstairs you will enjoy a gourmet kitchen with top quality appliances, dishwasher and lots of cupboard space. 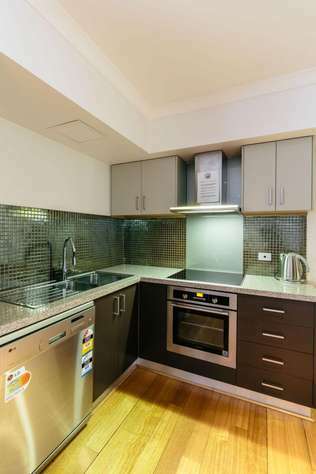 It boasts granite benchtops, inverter cook top, designer taps and large fridge freezer. 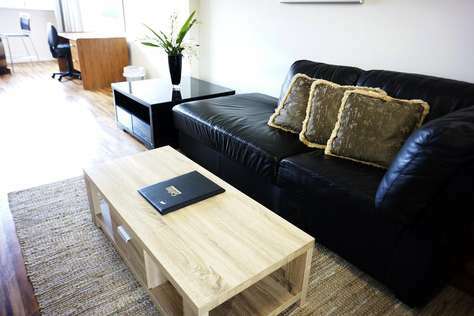 The living area has a comfortable leather lounge suite, flat screen TV, DVD and music system. There is a study desk with broadband connection and telephone connected for local calls. Great spot for a holiday or business, stroll to everywhere, train station, free CAT bus, restaurants, shops, arts and crafts. Train and bus station is a 5 minute walk. Wonderful deli and gourmet butcher in close proximity. 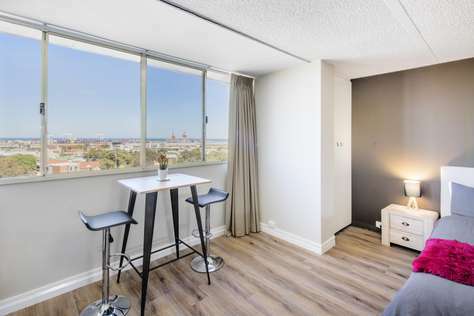 This is a 2 bedroom 2 bathroom property on Pakenham street which is located right in the centre of Fremantle. The location is great with restaurants, famous cappuccino strip and lots of historic sites a short walk away. 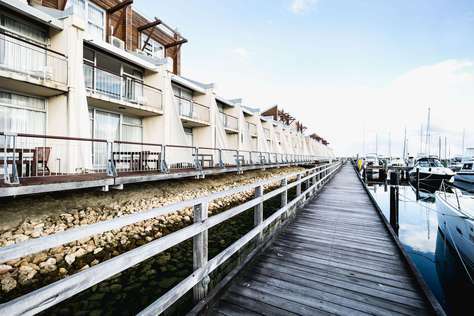 Absolute waterfront located in a complex of holiday accommodation.. Living area downstairs, 2 bedrooms upstairs. 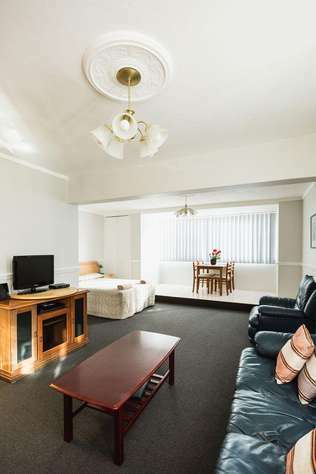 Features 2 bedrooms with queen and 2 singles beds. Wonderful water view from the balconies and courtyard (One on the ground floor & the second floor). This accommodation is as good as it gets. A fully equipped kitchen with dishwasher. Supply of shower gel, please bring any other toiletries. There is lots of PUBLIC PARKING available in the surrounding carparks 31. The cost is $1.60 per hour with no time limit in force. Parking is free between 01:00 and 08:00 each day. The machine accepts coins or credit cards or you may find it more convenient to access the app cellopark. 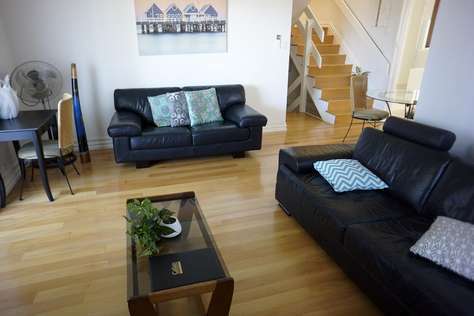 The property is on 3 levels with a large balcony on the lower level over the water. 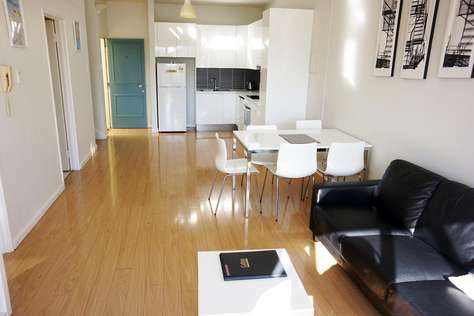 Fully equipped kitchen with full oven and cook top, large fridge/freezer microwave and generous cupboard space. The balcony which adjoins the living area is furnished with an outdoor setting. The first floor has 2 bedrooms and 2 bathrooms. Each floor has a magnificent ocean view. 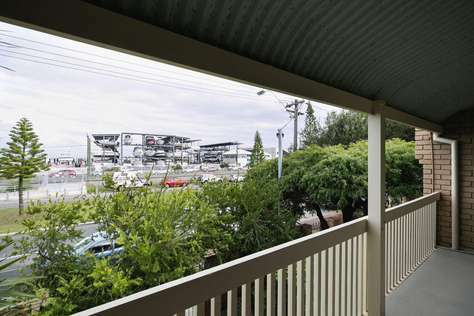 This 3 bedroom townhouse is located conveniently close to Fremantle. 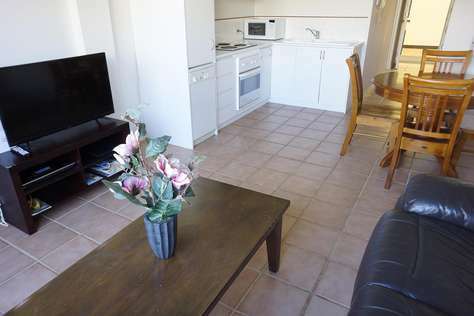 A short walk from the Boat Harbour and beach, it’s a great short term holiday rental for up to 7 people. The main bedroom has an en suite bathroom. 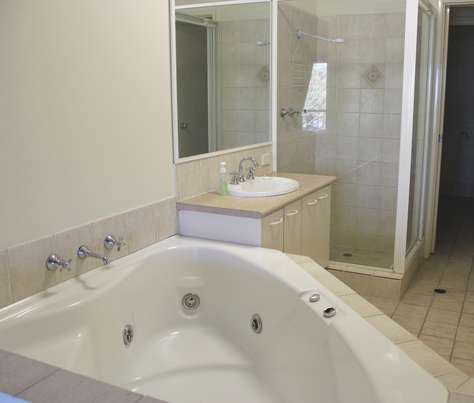 The second and third bedrooms share a bathroom, and there is a third shower and toilet downstairs. 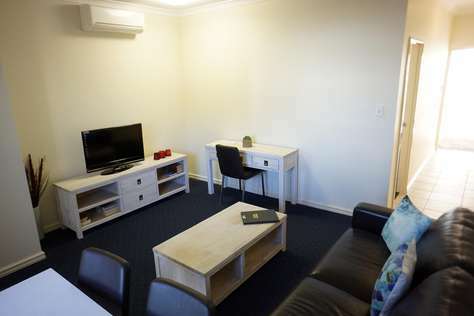 *Laundry facilities with washing machine and dryer. The property is located on the corner of Ada Street and Marine Terrace. 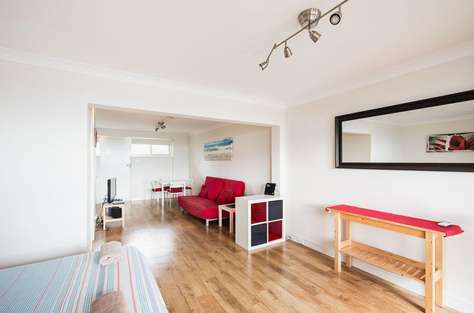 It is in a central location close enough to walk to the town centre or the beach. The area abounds with great restaurants which are a short stroll away. South Beach is a walk away or if you don't have the energy the free CAT bus passes nearly. The property has 3 bedrooms on 2 levels. 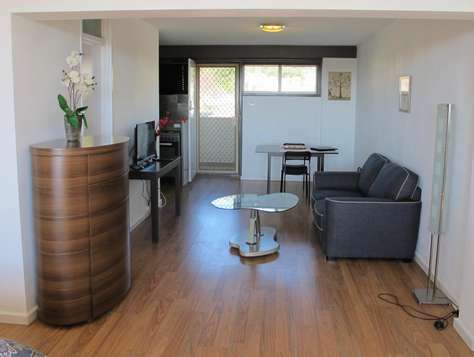 The entry level has 1 double bedroom and the modern kitchen and living area. The lower level has 2 double bedrooms. There is a second shower and toilet housed in the attached double garage.The outdoor area is attractive and spacious. Parking for 2 cars, free WI-FI, well equipped with every amenity. 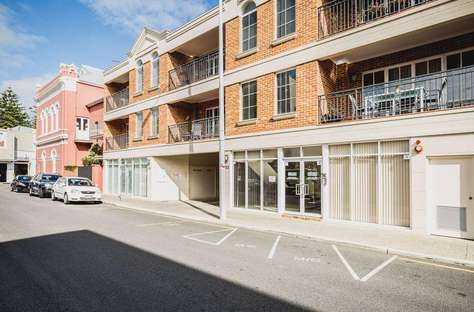 This 3 bedroom apartment is located in Suffolk Street Fremantle close to all that Freo has to offer. 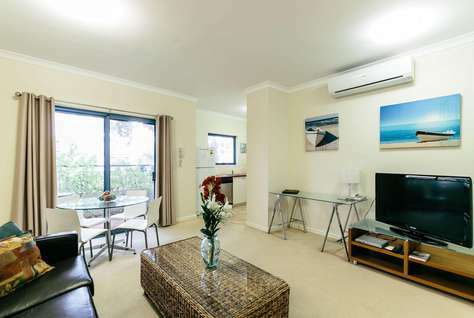 The town centre is a 5 minute walk, Bathers beach and South Beach are both within a 15 minute walk. Comfortable, spacious and a quiet location. 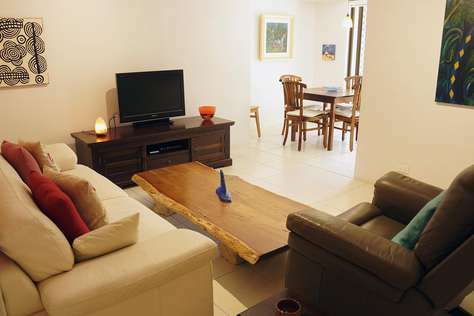 The apartment consists of a large comfortable living space and adjoining kitchen which is equipped with every facility. There is a washing machine for your exclusive use. 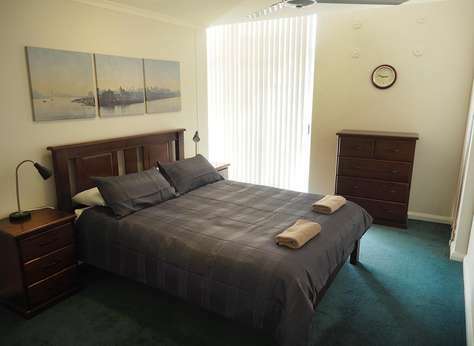 The 3 bedrooms are furnished with queen beds. 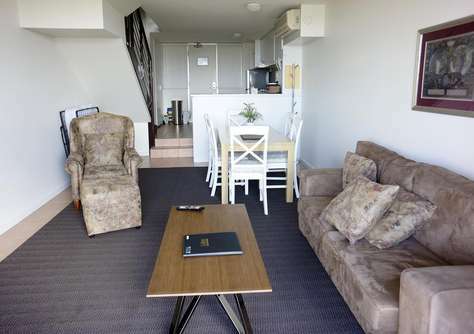 Whilst there is a set of stairs to the apartment from a private entry door the apartment is on one level. There is a spiral staircase which takes you to the small courtyard at the rear. There are 2 private balconies at the front off the living space and the main bedroom. The living area and all bedrooms have a ceiling fan. 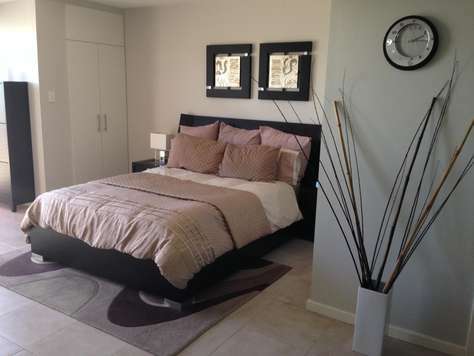 This lovely 3 bedroom house is furnished with 1 King bed, 1 Queen bed and 1 singles. The bathroom has a bath and shower and there is a separate toilet. 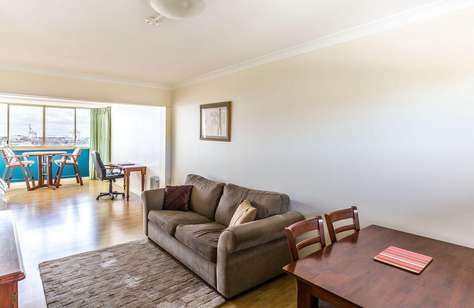 This Beautiful 2 bedroom cottage and Studio is located in South Fremantle close to cafes, restaurants, pubs, shops, Fremantle Sailing Club, and South Beach. STUDIO NOT LET SEPARATELY TO COTTAGE. 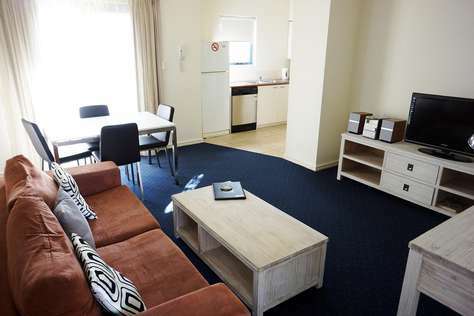 The Studio at the rear is furnished with 1 King size bed, ensuite shower and toilet. 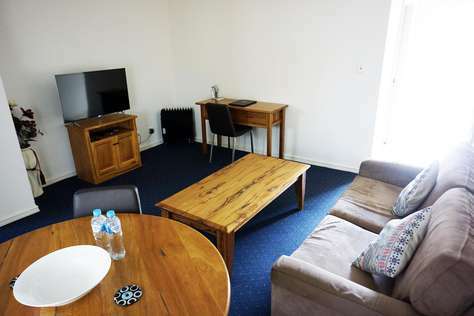 Please note there is an extra charge of $30 per night for use of the Studio. Cot and Highchair available for an extra charge. Full Kitchen fully equipped with every amenity, crockery and cutlery. Car parking for 2 cars in tandem. Cottage Max 4 persons $200 per night. Studio Max 2 persons for an additional charge of $30 per night. Private garden with BBQ for guests. ABOVE IS A LARGE APARTMENT THAT IS TOTALLY SEPARATE. 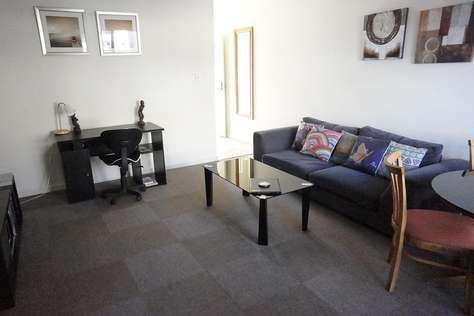 THIS APARTMENT IS NOT PART OF THE SHORT STAY ACCOMMODATION.